In spite of what you hear, instant gratification is NOT all bad! And here is an exciting way to experience it. We want you to share the incredible opportunity of participating in the Chabad Partnership Project, which funds a “living, breathing” entity that you can actually touch, see, hear, and observe as it grows. Chabad of West Palm Beach is launching the “Chabad Partnership Project” to help fund our various community programs and to allow us to continue to grow. As one becomes a partner they will enjoy the amazing pride of ownership, knowing that their contributions will indeed not only maintained Chabad’s home, but also enable all of its fine spiritual, educational, social, and humanitarian programs. Chabad of West Palm Beach Partners set their own levels of giving, with the amounts payable on a monthly basis (or annual basis if the partner so prefers.) The names of all Partners will be listed in our appreciation booklet. Your participation in the Chabad Partnership Project is one of the ways that you can show your support for our programs. It is also an opportunity for you to grow with us and to be a part of the Chabad of West Palm Beach community. 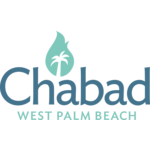 Please take a few moments to explore all our partnership opportunities and consider becoming a Chabad of West Palm Beach Partner today. We m aintain Chabad of West Palm Beach's policy to ensure you are welcome regardless of payment.